Our range of services include industrial shed services. 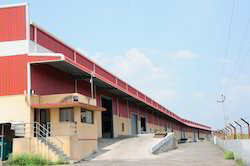 We provide our clients with an exclusive array of Industrial Shed Services. We procure products from the reliable vendors who ensure upgraded and long-lasting products.